Over the past year, I have tried to document my coffee habit through the medium of digital photography. 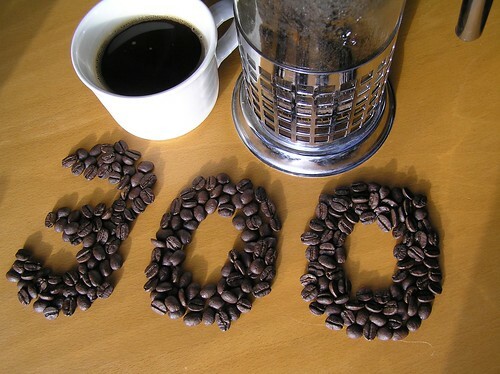 Some would call my efforts obsessive, but really this project, which I call First Cup, has become a meditation on the consumption of coffee, both in act and description.I hit a milestone this last week, 300 consecutive days of photographing and cataloging my first cup of coffee. I have nearly missed at a couple of points along the way, and the subjects haven’t always been interesting, but the process has become ritualistic. Part food blog, part photojournal. I enjoy plotting the placement of the cups, in space and in frame, trying to catch the light in contrast to the surroundings. P.S. The above photo is actually not part of the series. It was intended, but somehow the beans seemed a little forced. Enjoy. we’ve never met but i’ve heard nothing but the best from your bay area peeps. i’m so sorry to hear what happened to you recently, but glad to know your friends are taking care of you, and also glad to see you’re keeping the first cup project going. i’d like to put a notice about your situation and directions for donations into the next (june/july) issue of barista magazine. is that ok with you? if so, please shoot me an email and let me know. i’d also love to publish a photo with it, of you injured or bouncing around healthy — up to you). take good care of yourself, and i look forward to hearing back from you. Your “First Cup” on Flickr is such a good idea. The way you document it with images and text is absolutely perfect. Please continue for many, many, many years to come.